Minister Arjuna Ranatunga blamed Sri Lanka’s cricket board Tuesday for the squad’s crushing three-Test series whitewash on home soil against India. Ranatunga said Sri Lanka’s XI could not be faulted for the humiliating 3-0 drubbing described by skipper Dinesh Chandimal as the worst series of his career, but squared the blame entirely with management. “Sri Lanka cricket is going through the worst period,” the former Lankan skipper told reporters in Colombo. The comprehensive series defeat compounded woes for a side beset by injury woes and leadership changes. 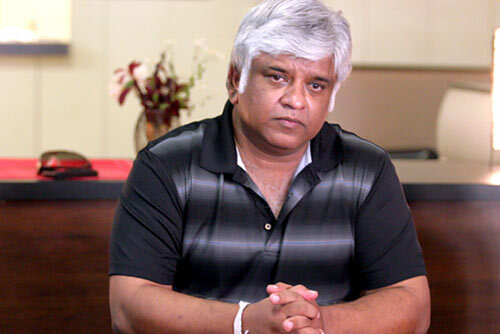 Ranatunga renewed calls for Sri Lanka Cricket chief Thilanga Sumathipala to be sacked, and urged the International Cricket Council to investigate management at the board. Last week, Ranatunga, 53, told AFP there was no “proper discipline” in the national side, which has suffered a string of humiliating home defeats in recent months. “We don’t have selectors with a backbone,” Ranatunga said, referring to the panel headed by Sanath Jayasuriya, a former teammate of Ranatunga’s 1996 World Cup-winning side. Ranatunga has accused Sumathipala of involvement in gambling — a charge which would preclude him from a board position at Sri Lanka Cricket — and urged the ICC to investigate. Sumathipala has vehemently denied the allegations. Sumathipala told AFP last week that Ranatunga was leading a smear campaign against him in a bid to wrest leadership of the board for himself. “Every time the game is affected at the middle, Sri Lanka cricketers are not performing to the expectation, we hear this kind of noise coming from the same quarter,” Sumathipala said. sumathipala is rogue is in the same league as alloysius. He makes money out of gambling and those who subscribe to his gambling enterprise are the poor and lazy who want to get rich quick. and politicians feel that they make contribution in believing it is the case. the average punter has no more than the boss on permutatios, and the statistical probably of any particular event that they bet on. So the government should ban gambling altogetherveven state sponsored lotteries. as to how sumathipala got into politics is through the back door by supporting the UNP not only was he nominated into arliament he was found a high post as deputy speaker. A member of the tie coat gang.What has he done to serve the coubtry. He would if he is in his right mind feel that gambling is socially unacceotable and voluntarily shut down his operation ! Arjun for Ranatunga must be congratulated for coming out aagainst crooked symathipala. he should furthe fight to prevent the likes of sumathipala getting invilved in cricket constitutionally. “We don’t have selectors with a backbone,” Ranatunga said, referring to the panel headed by Sanath Jayasuriya, a former teammate of Ranatunga’s 1996 World Cup-winning side. Dear Arjuna, this is not peculiar for Cricket but in every field whether it is Politics, Security, Economics we do not have people with backbone! When British gave us the independence they wanted to paralyze Sri Lanka. So they gave us cricket.Normal games take up to most 2 hours. This stupid game take 3 weeks or more and end up in a draw. No wonder we are so backward compared to rest of the world.